For nearly a hundred years, the planet Chrellkan IV has enjoyed a peaceful relationship with the colony on the third planet of its star system. However, relations between the two worlds take a deadly turn as rebel colonists take over Chrellkan III and turn against their mother world. To prevent the conflict from escalating into full-scale war, Starfleet orders Captain Kirk and the Enterprise to moderate the dispute. On arrival, Kirk sends Spock and McCoy to investigate the rebel's claims. But seconds after beaming down, the two officers are taken hostage and then--according to sensors--killed. Devastated by his loss, Kirk must try to learn the truth behind the mysterious rebellion that has claimed the lives of his two closest friends. 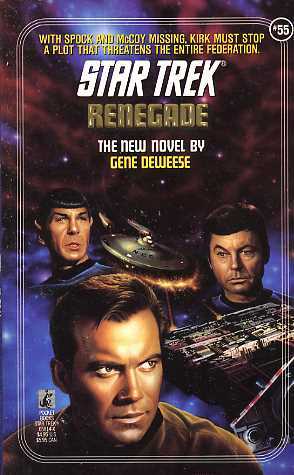 Kirk's investigation leads him to uncover a dangerous plot against the Federation--a plot driven by revenge that may make the Federation's highest law, the Prime Directive, an instrument of violence and destruction.